A lot can still happen when you’re in Los Angeles for just 48 hours (with 18 of those hours used for sleeping to prep for the 25 hour drive home to Vancouver). 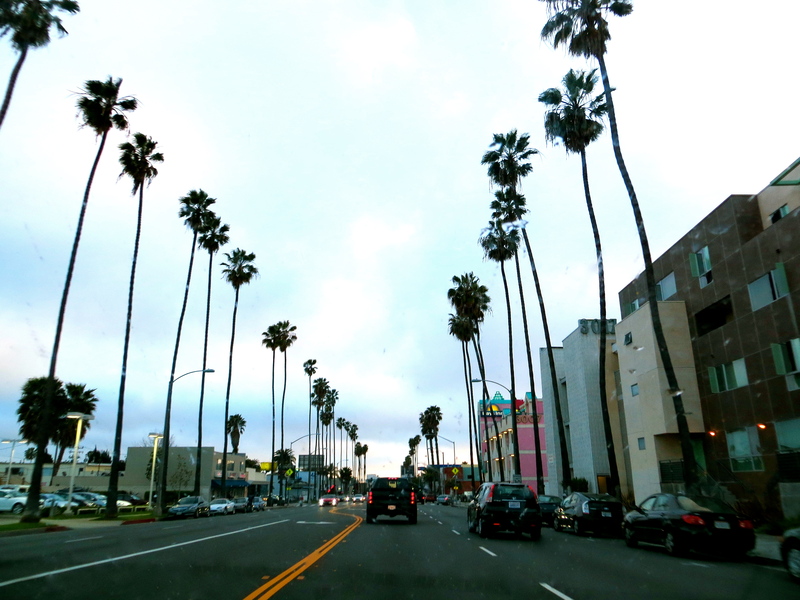 Our drive through Beverly Hills, CA to check it off our “Been-There-Done-That” List. We witnessed a movie-style, yet real-life police takedown. It involved a police car speeding backwards along a pedestrian road, suddenly stopping, police jumping out of the car and pulling out their guns with a police helicopter hovering above them. We determined that Venice Beach may not be the best place to hang out once the sun goes down. 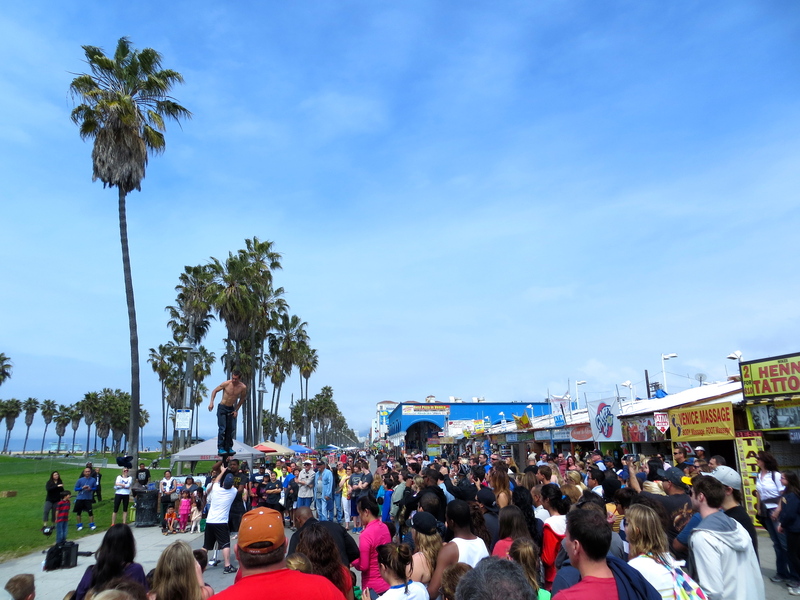 Venice Beach is THE place to people watch but watch at your own risk once the sun goes down. Armando and Jef almost died at Six Flags. Okay, maybe that’s a little dramatic but the situation could have been fatal. Unbeknownst to them, after getting off a roller coaster they took a wrong turn through a sliding door that should not have been open and started walking on the roller coaster tracks. But the roller coaster track looked more like a pathway than a track so they didn’t realize they were walking on the track until they turned a corner and saw the steep incline of the track and realized where they were. Had the next car started down the track, it could have crushed them but they made it back to safe ground just in the nick of time as the panicked Six Flag attendants looked on. 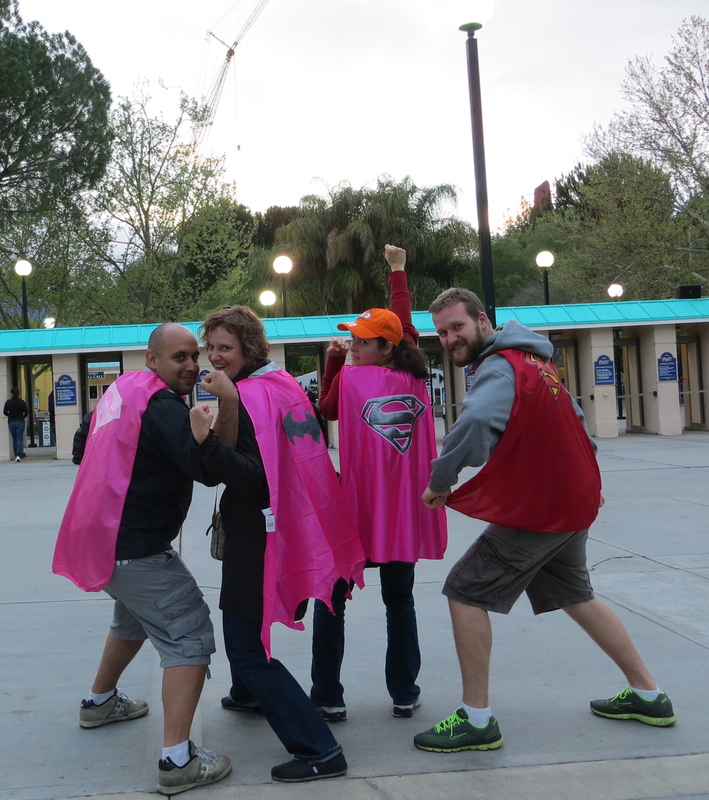 The superhero capes that the guys won for our nieces and nephew, playing carnival games at Six Flags. We learned that there is a secret menu at In-N-Out Burger. 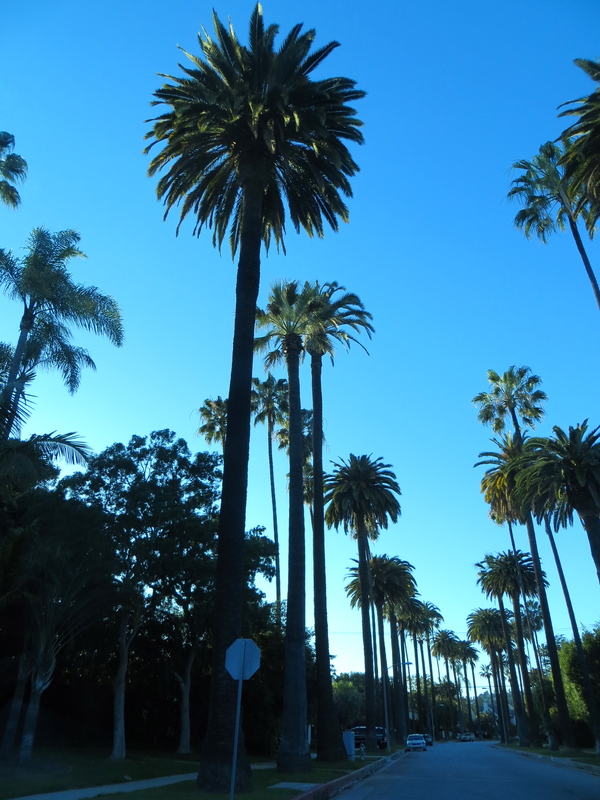 One of my favourite things about Los Angeles were the palm tree lined streets. How do these tall, skinny trees not bend over and break? 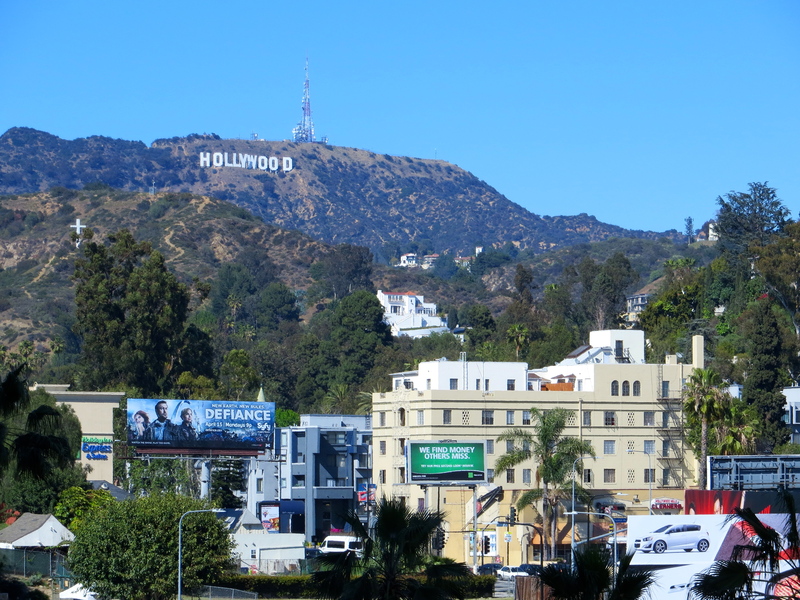 A trip to Los Angeles is not complete until you’ve seen the Hollywood sign. What else did we squeeze in? Hollywood Boulevard, Grauman’s Chinese Theatre, Beverly Hills, lunch on the Sunset Strip, Rodeo Drive, Venice Beach, Santa Monica Pier, the Hollywood Sign. Some we just caught glimpses of as we drove past or walked by as we checked it off our list of places to see. But for 48 hours we fit enough in to get a feel for LA. It’s a surreal place where the down-and-out live next door to Hollywood celebrities. It’s not a pretty city but it has character built on the eccentrics that make LA home. 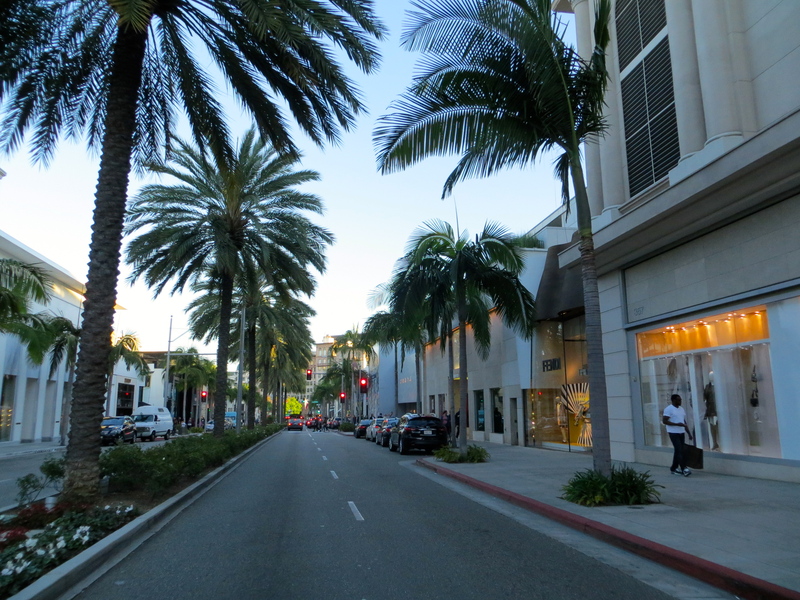 The finer side of Los Angeles County…Rodeo Drive in Beverly Hills, CA. Worth the drive? For the city…sure. For the experience shared with our good friends…definitely! 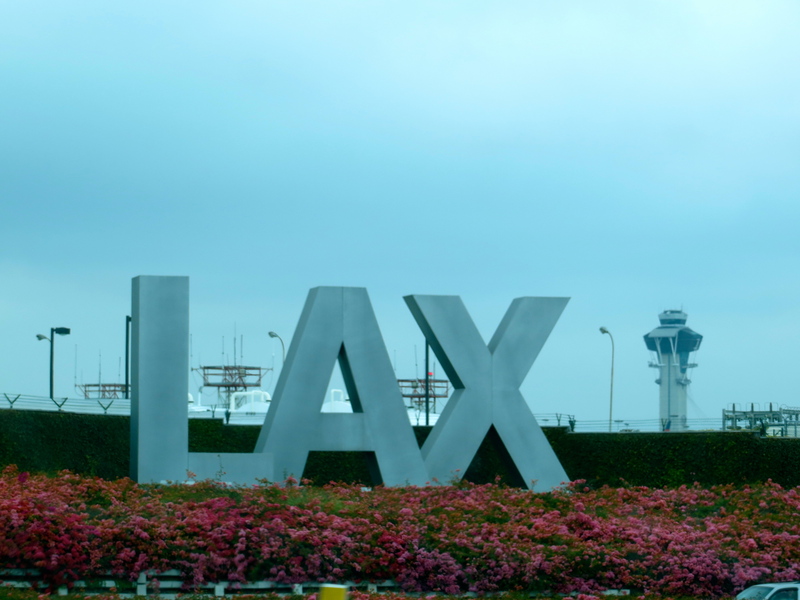 As we drove by LAX we contemplated ditching the car and catching a flight home but at 10PM on Sunday, we started our drive back and 25 hours later, we were home from our whirlwind of a road trip. Road Trip from Vancouver to Los Angeles and back in 4 days, a success!